The tool must not require me to embed a third-party widget into my blog post. That rules out Github Gists. The tool must not require me to make changes to my main blog template, especially not changes that load any additional files. 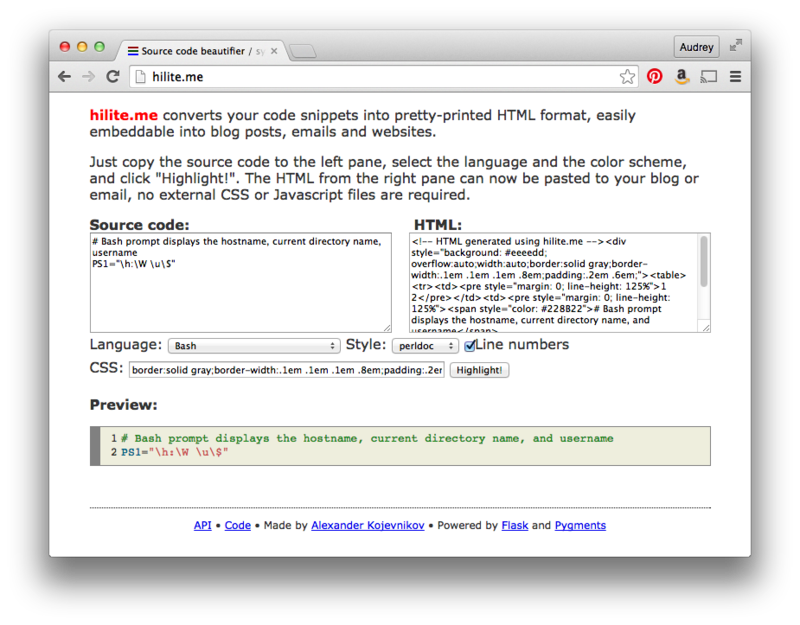 That rules out SyntaxHighlighter. Now, don't get me wrong, Gists and SyntaxHighlighter are both awesome tools that I like to use for other purposes. Preview and edit to make sure that the in-between whitespace looks decent. As a bonus, it's open source, and it's powered by Flask and Pygments, two other nice open-source Python packages.